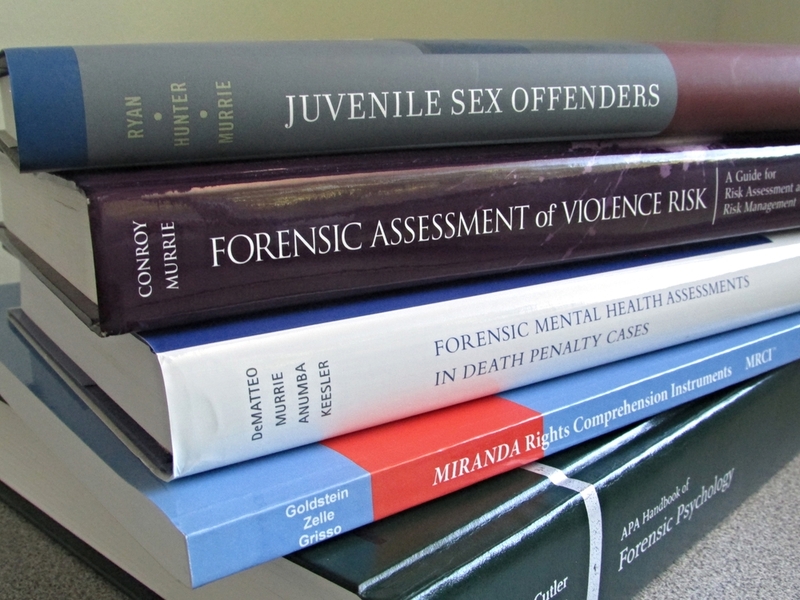 The Forensic Clinic at the Institute of Law, Psychiatry, and Public Policy offers forensic mental health evaluations for a variety of criminal and civil contexts, performed by forensic psychologists, psychiatrists, and neuropsychologists. The Forensic Clinic provides forensic evaluations of adults and juveniles in both criminal and civil cases, for state, Federal, and military courts. Evaluations can take place in our Charlottesville office or on-site in jails, prisons, hospitals, or attorney offices as needed. In addition to performing evaluations, we consult with attorneys and provide case review addressing mental health issues, violence risk, and related topics. We also provide additional consultation services (e.g., threat assessment, risk management, fitness-for-duty, pre-employment screening) to universities, businesses, and agencies. Our team of forensic psychologists, psychiatrists, and neuropsychologists are equipped to perform a variety of evaluations in a timely manner. Each has strong academic and clinical credentials. For complex cases, we can assemble a multi-disciplinary team with case-specific expertise. Our collaborative team works diligently to ensure high-quality, objective evaluations. With a variety of research interests and expertise, our faculty are “scientist-practitioners” who contribute to peer-reviewed journals and textbooks in the fields of forensic psychology, forensic psychiatry, neuropsychology, and law. Our scholarly work ensures that our clinical work reflects current research findings and professional best practices.